Railpictures.ca - Dave Beach Photo: A CP westbound coal train in the rugged lower Fraser Valley near Hell’s Gate. | Railpictures.ca – Canadian Railway Photography – photographie ferroviaire Canadienne. 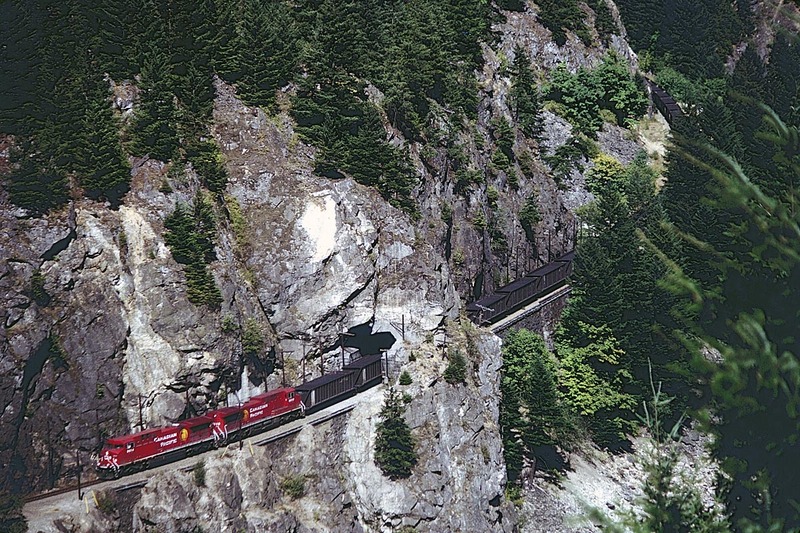 Caption: A CP westbound coal train in the rugged lower Fraser Valley near Hell's Gate.